There is a lot fear and confusion surrounding the pattern of healing on The Nemechek Protocol. Most people expect it to be a straight line up but, as Dr Nemechek details in the book, the pattern of healing is actually more like: 5 steps forward and 1-2 steps back. We are almost 8 months in and I still get a sinking feeling in my stomach when we see the steps back, so I am going to take some time today to explain this in better detail (as per our personal experience) and hopefully help people better understand what they are seeing. When Sara first started to get sick a few years back, part of the reason we were so confused by what we were seeing was that many days she seemed fine. But the bad days were BAD. Over time the bad days became more and more frequent, squeezing out those good days until they were almost extinct. By the time we started The Nemechek Protocol Sara was having mostly bad days, and it was rare that she felt well. You can watch this video we made to get the full picture of life at that time. When we started The Protocol it was at that base line. She was ill in many different areas and pretty early on we surprisingly started to see improvements across many of them. But, over all she was still a very sick girl and many days she was still plagued with any number of issues. Eventually we started to see the emergence of some “good” days again. These would immediately be followed up by a spell of bad days and back and forth. We started the protocol mid-May and in my journal notes for July 7 I happily reported that she had 5 great days in a row! I listed all the ways in which we were seeing improvements but I also noted the lingering issues that seemed to be hanging on. July 8 and July 9th are both described as AWFUL. Two of her worst in a while. Flinching at sounds again. Confused, unable to cope…on and on. July 10th I started her on Rifaximin and both the 10th and the 11th were described as BRUTAL. I don’t even need to reference my notes for this part – I remember those two days well. She was bedridden and writhing in pain from severe constipation. We got maybe 6 hours of sleep in total over those two days. Those days were as bad, if not worse, than the days she was having BEFORE we had even heard about Dr Nemechek – and we were in our 8th week of being on the protocol!! But the improvements were there. They were still coming. The following days in the journal detail a child who is up and about and functioning. She is playing with friends, has improved sense of humor, seems to have significantly less brain fog etc – but it is evident that she is just keeping up with the demands of life. Lots of fatigue, lots of old issues in regards to sensory, temperature regulation, nausea, emotions and on and on – but each day I note was better than the last – until finally on July 27 I reported that she had an amazing day with limitless energy that lasted well into the night. A long day running around outside with friends, a witty sense of humor, an ability to tolerate things that might have previously bothered her. Just an amazing successful day which bled into 3 or 4 equally impressive days. Which all came crashing to the ground on Aug 3 when I wrote about how scared I was by what I was seeing; she seemed unable to hear me anymore, her eyes were once again “heavy” in a way that was alarming. I worried that I was just over-analyzing everything. I wondered if what I was seeing was a just another dip or a full blown relapse this time? August continued the same as July with the familiar pattern of 5 forward 1-2 steps back until September when we really did have a relapse and I wrote about it on the blog: GOOD news, BAD news, GOOD news. Each month carried on the same way, with days that were AMAZING flanked by days that drew concern and confusion. But each month the length of time in between those “bad” days grew and grew. In July I was thrilled that she had 5 good days in a row and by September she was successfully getting to school every day. She didn’t always have the energy to attend extracurricular activities but the majority of her issues seemed to be well under control. Now at the 8 month mark we live with a girl who is very neuro-typical and healthy. The majority of her issues have melted away and it is almost impossible to imagine her the way she used to be. She has endless energy that easily carries her through busy school days, after school activities and evenings of babysitting, doing homework and hanging out with friends and family. But she is not fully recovered. Not yet. Each month we still see 2-3 days where she has minor symptoms of ANS dysfunction flare up (which you can read about here). It could be in the form of mild headaches and/or nausea, some mild fatigue etc. As I write this she has just come off of a 2 day stint where she was back in bed with abdominal issues (a carry over from her last relapse). I know in some ways Sara has become the “face of recovery” for this protocol as her video is the first of its kind and shared daily. As a result I feel an obligation to be REAL about what it took to get here. We still have steps back but the steps forward are never lost, and each time she bounces back stronger and the good days last longer. 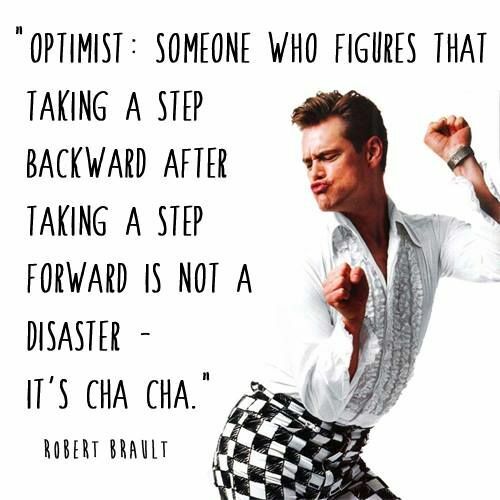 It was NOT a straight line up and we are still “cha-cha-ing” our way to long term recovery. But we are dancing – and laughing!! – as we go and we know we will get there.